Do it! 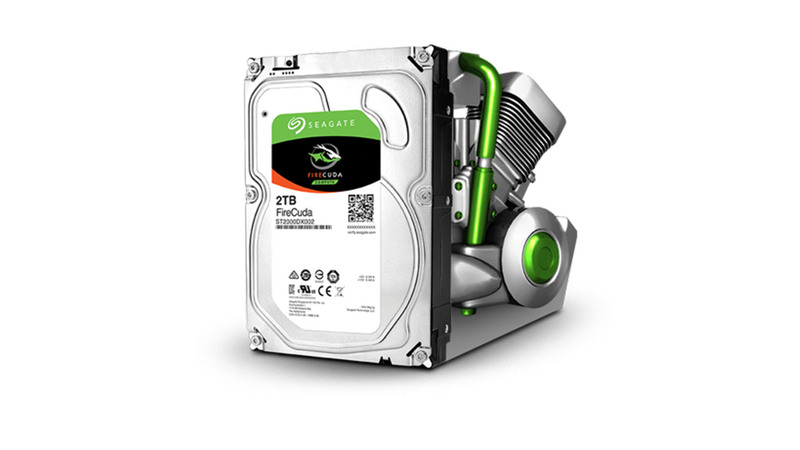 Put a Seagate FireCuda in your 27″ iMac! I just wrapped up installing a Seagate 2TB FireCuda gaming hard drive into a 2012 27″ iMac, and boy is it worth it! The reason I chose this specific hard drive is due to the technology that this drive uses. Seagate, back in 2010, launched one of my favorite affordable upgrades for laptops– a hard drive line called Momentus XT. This hard drive differs from the usual hard drives by combining the then new technology of solid state storage with the larger, more spacious, traditional platter hard drives. This combination drastically improved loading times of applications as well as boot times via an onboard processor that moves files that are more frequently accessed to the solid state section. Fast foward a little bit and they make a couple revisions to the Momentus XT line and then formulated a new line for the desktops and laptops called FireCuda, a name that roughly resembles their mainstream line of BarraCuda hard drives. This FireCuda, just like the Momentus XT, also contains solid state storage that boosts the speed of your computer greatly! To actually do the swap, I’d follow the guide at iFixit.com for your specific iMac. Their instructions were dang clear. You may need additional tools or adhesive strips which can be purchased at iFixit.com, depending on your model of iMac as well. Besides that, you’ll probably want to be ESD safe. But really, this is about the drive! While there are a lot of options out there, one would choose to install a FireCuda in their system because it’s pretty dang affordable, provides an impressive performance boost for the cost, and can help alleviate storage issues with people’s workflows. For a 2TB FireCuda on Amazon, you’ll need to shell out $104.00 at the time of writing, which really isn’t that much at all. Considerably, a standard 2TB BarraCuda is roughly $75 and other 2TB drives are similarly priced. And well, of course, if you wanted to go fully solid state for the same amount of money, you’re looking at maybe a mid performance 480GB SSD for just a bit more than $104. For a platter drive, this drive continues the great consistent performance that the previous Momentus XT provided (I still use a 750GB model for a external drive. I wish I could say that it was the fastest, but it isn’t, and it won’t be. But, it’ll provide a pretty dang good jump in performance, as the files you use the most get moved over. The most obvious speed improvement is with the boot time. As I kept restarting the iMac, the boot time decreased as the files automagically move over to the solid state section. Expect your computer to be quicker after you allow the hard drive to figure out what you do. The read and write speeds are pretty good for being a traditional drive. I tested the original drive 1TB drive that came in the computer and it only reached about 85MB/s in the Blackmagic disk speed test. While synthetic benchmark tests don’t always indicate or represent the performance of the drive itself, it’ll give you a decent idea as to the max sustained speeds at least. Also, it is typically faster for the computer to load the data you have stored internally on the drive than externally via Thunderbolt or USB 3.0. Having a faster drive internally may actually remove the bottleneck it may have when transferring files to an external disk. Heck, upping the max speed of the internal drive will help out performance across the board regardless of what you do on the iMac. It has a lot of space! Typically, it’s easier to organize the data that you have stored on your iMac itself. There’s less confusion and less frustration when it comes to keeping files on the computer. For those multi-purposed iMacs, ones that don’t just serve one specific role, this might be a great little upgrade! You can keep your music in iTunes, have phone backups, movies, projects and documents along with all your photos that you just shot stored locally on the drive. Consolidating makes things easier, and this drive will have a good enough working space for you to use. It’s really a great option for those who need the space internally, still want speed and don’t want to pay a fortune. Comparatively, a 2TB high performance SSD from Samsung will cost you $699 on Amazon (at the time of this article), but you’re getting a heck of a lot of performance. Think of the FireCuda as a custom all-in-one Apple Fusion drive. Those who are super techy can create their own Apple Fusion drives, but you’ll need a whole lot more. I’d always recommend a backup –Time Machine for the system and a redundant disk system for the important files– when it comes to hard drives of any sort. Mykii is an energetic and kind soul that loves sharing his passion for technology and photography! Outfitted with 15 years of IT experience and 10 years in the portrait photography industry, he adds a different perspective on trending technology and reviews. A couple fun things of the many things he's done include being a Guest Blogger on Scott Kelby's Blog, being featured on Framed Network and being a participant in Adobe's Creative Jam. Hey, how is the firecuba thermal sensor that compatible imac? If your iMac uses a thermal sensor that is built into the hard drive (probably in year 2011), then you can get the external sensor that was used in previous years (2008-2010) to replace that cable. The difference is that you’d have to tape the sensor to the hard drive to monitor the temperature. This drive does not work with a 2012 27″ iMac. Having installed one, the fans go on full – even with an OWC sensor. I installed one into a late 2012 27″ iMac as with no problems, and it did not require a sensor. To my knowledge, actual external temperature sensors only existed in 2008-2010 and they switched to internal sensors with the hard drives in 2011. Perhaps you installed the sensor in reverse? The fans will spin at full speed if it was not installed in the right orientation. Besides that, did you reset the PRAM afterward?